Think of how often you use your hands in the workplace. Whether it’s data entry or operating several hundred tons of machinery, your hands are involved almost every step of the way. The big difference? If you don’t pay attention while typing, you probably won’t lose a finger or two or more! Hand injuries in the workplace make up 80 percent of all workplace injuries. Of course, the length of time lost due to these injuries is all over the board. A sale representative could still function with a broken finger or even an injured arm. But when it comes to heavy hauling or construction crane work, full use of your hands is vital. That’s why preventing hand injuries on the work site is so important. There’s a reason so many safety precautions are posted: time lost due to injury means altering timelines and missed deadlines, not to mention the cost associated with an injury. The best way to prevent injury, of course, is to stay alert. Even closing a door on the cab of a crane can lead to smashing a few fingers if the operator isn’t paying attention. By following best work practices at all times, many injuries can be prevented. If an engine needs servicing, makes sure the ignition is off and key removed. Don’t put your hands near moving pieces of machinery, keep machine guards in place, and be aware of all potential pinch points. 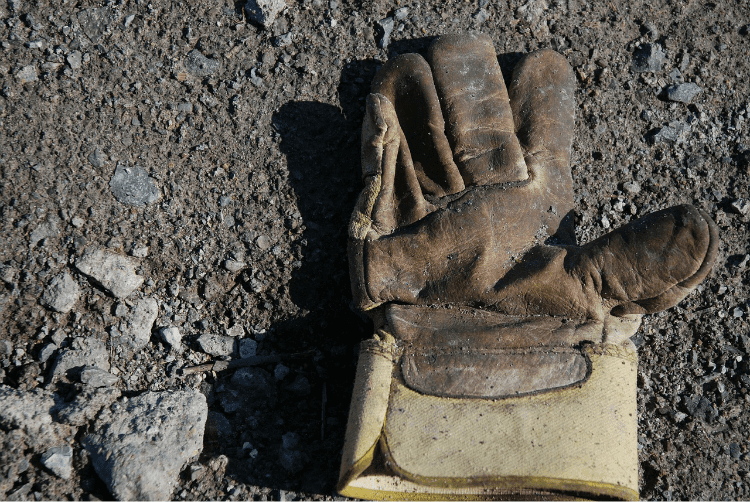 Wearing gloves provide an extra level of protection for hands and fingers, but only if they fit properly. Gloves that are too large may get caught in pinch points and take the hand right along with it. If the gloves are too tight, it could restrict movement. A crew member should always be able to move comfortably while on the job. Found all over the worksite, pinch points can be large of small. For example, when setting up the rigging, a pinch point can occur if the load shifts when lifted. This occurs when the wire rope or straps are pulled tight or within the load if lifting several large beams at once. Cab doors, panel doors, and hatches are pinch points just waiting to happen. A turnbuckle, clevis, or hooks can provide pinch points if someone is not paying attention. Pinch points can even be much larger: if a heavy load is being lifted near a large, stationary object, a huge pinch point can be created if the load sways incorrectly. Workplace injuries occur for any number of reasons, although inattentiveness is often the main culprit. When working with heavy machinery, however, those injuries tend to be amplified. NessCampbell is a strong believer in safety and uses safety professionals throughout the region on our work sites. When you hire NessCampbell for your crane or heavy hauling needs, you’re hiring a company that exceeds all safety expectations. How are cranes able to lift heavy loads without incident? Is Courteous Driving a Lost Art?